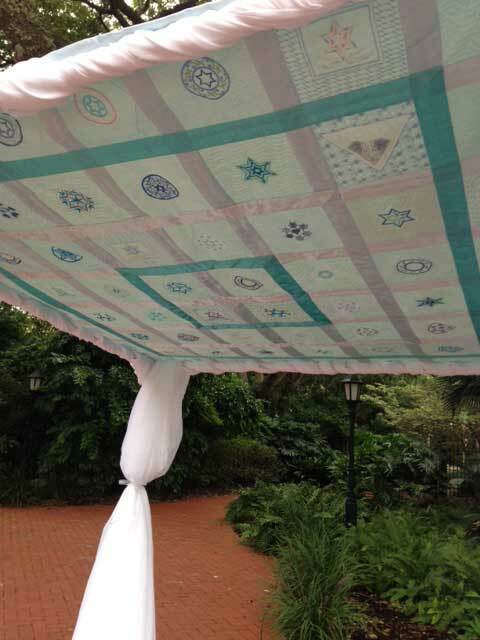 The photo below is of a wedding canopy (chuppah) made with blocks each individually quilted in the hoop after using Pfaff 6D software quilt block wizard to design the 64 blocks. 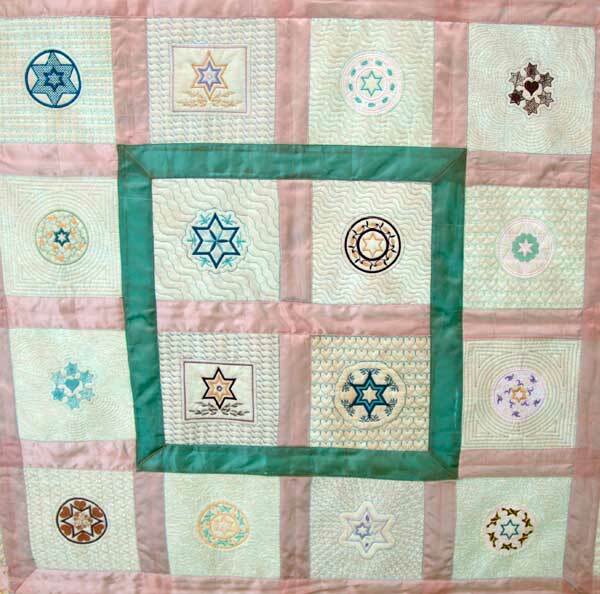 Almost all of the blocks had one of your Jewish star designs in the center of the block. 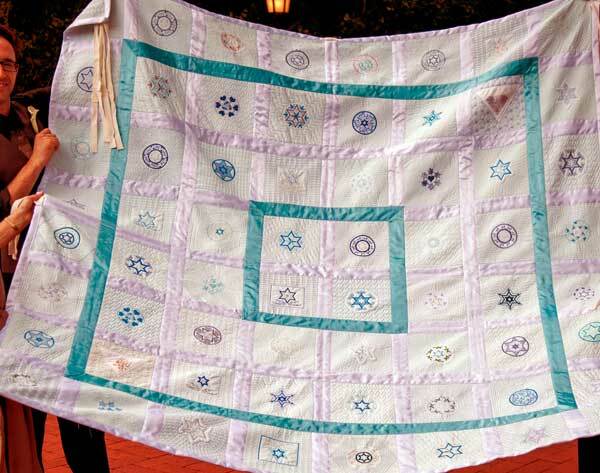 The only exceptions were the 2 blocks with the monogram from the groom's grandmother's hankies appliqued into the center (the triangular designs), and two blocks with a central design of a circle of stars which I digitized myself. 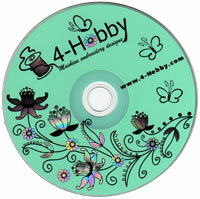 I am a real novice digitizer so I used your designs for 59 of the 64 blocks. 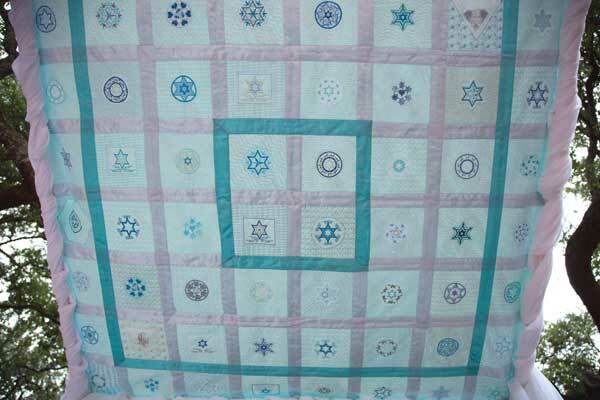 It was made on a Pfaff Creative Sensation. It was a tremendous hit. Everyone loved it.